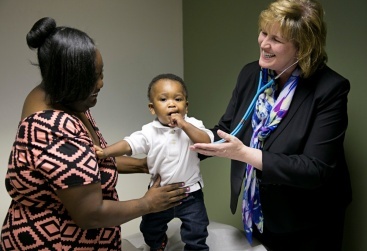 SIU accepts Medicaid, Medicare and most private insurance. We provide access to care regardless of insurance status or ability to pay. Family Medicine covers a broad spectrum that includes all ages, both genders, each organ system and every kind of disease entity in the body. Your family medicine providers coordinate your care and serve as your advocate in all health-related matters, including that appropriate use of consulting and community resources. 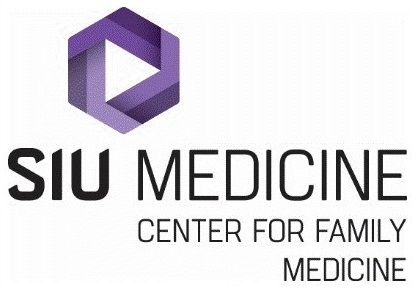 SIU Center for Family Medicine is designated as a Federally Qualified Health Center (FQHC). This status enables us to offer special program for low income and uninsured patients. Financial Assistance- On-site certified application counselors assist you in determining what insurance plans you qualify for and help with the application process. Sliding fee discounts are also available for those who qualify. Medication Assistance- Medications are offered at a reduced rate who qualify for our 340B Federal Drug Pricing Program. Community Assistance- We help connect patients to community resources. Our clinic goal is to provide the best possible health care and make you feel our clinic is your personal medical home. Our team of providers will establish an ongoing relationship with you and your family to coordinate care for both wellness and illness. New Patients: Arrive at least 20 minutes before your appointment to complete registration. Bring your insurance card and current medications so these can be updated. Established Patients: Arrive at least 10 minutes before your appointment to verify your information. Payment at Time of Service: If you have an insurance plan that requires a co-payment, it is expected at the time of your visit. Our financial counselors can make special arrangements for those with financial hardship. Insurance Billing: You will be expected to show your insurance card at each clinic visit to verify your eligibility and bill your insurance correctly. Lab & X-ray: it is your responsibility, as a patient, to know what laboratory/hospital is preferred by your insurance plan. Referrals to Specialists and Diagnostic Testing: During the course of your care, your provider may find it necessary to refer you to a specialist. Our referral coordinators will assist you in obtaining insurance authorizations and appointments with specialists or for testing. Unless the provider indicates the need is immediate, the referral coordinator will call you within two weeks with your referral appointment.